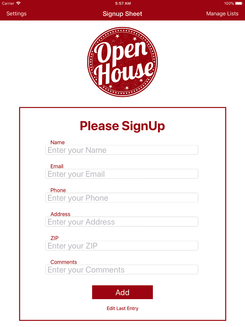 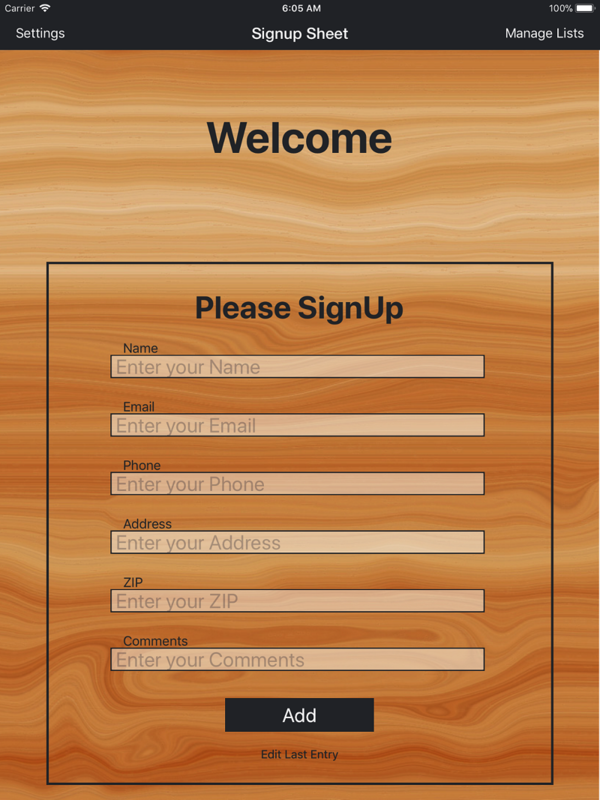 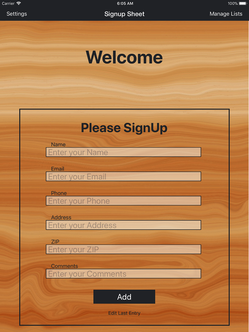 Signup Sheet helps you level up the open house experience for both you and your clients. 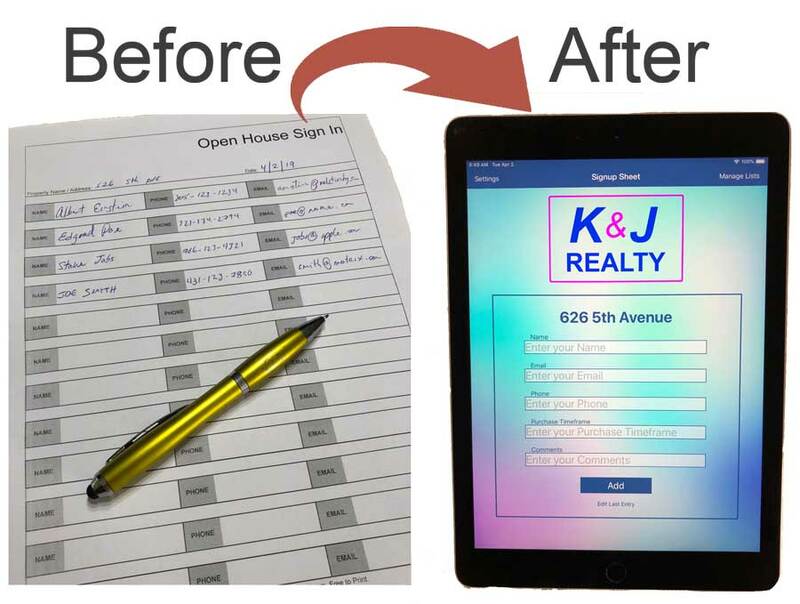 Simplify things for yourself and make signing in more attractive to clients by replacing traditional pen and paper with an iPad app that captures and stores all the information you need. 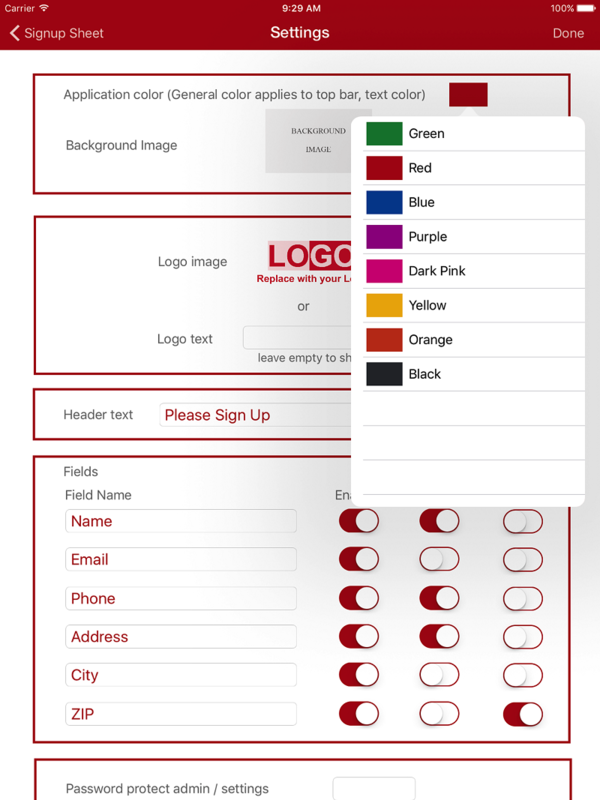 Customize your logo, color scheme, background image and data fields to make it uniquely your own. 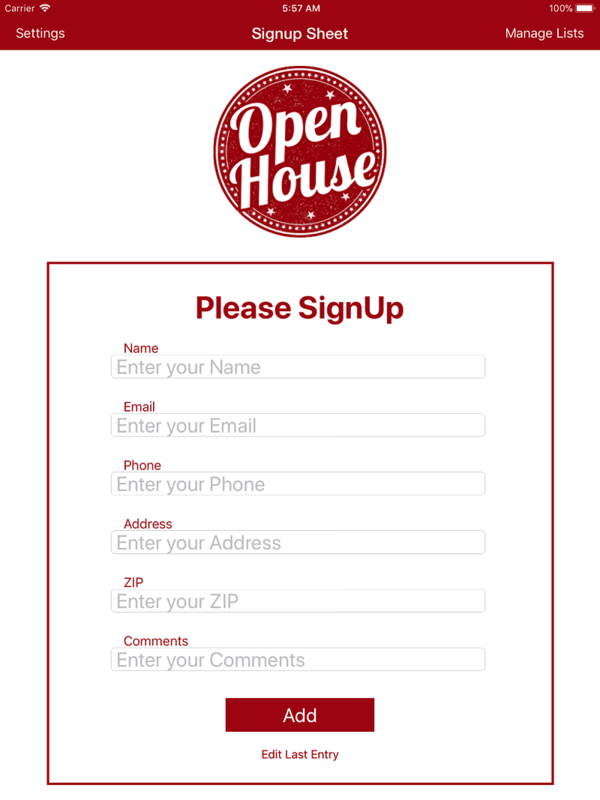 You can create a different list for each open house. 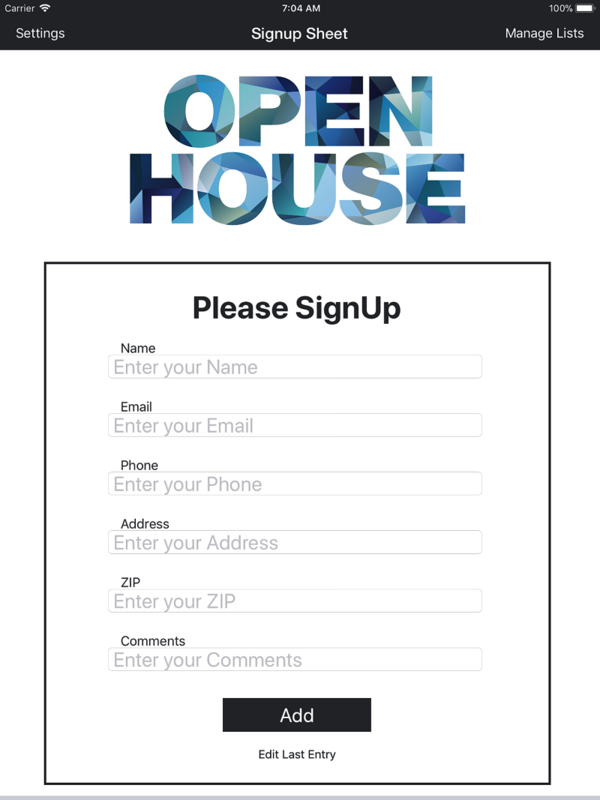 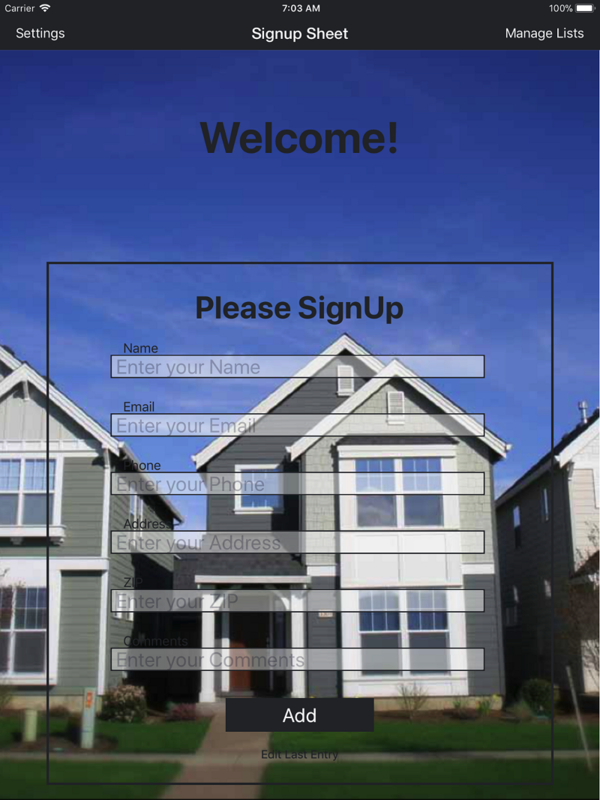 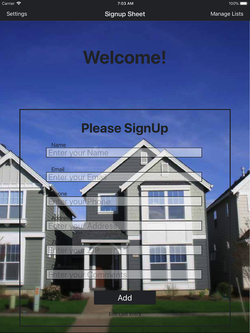 After the event, a click is all it takes to email a “Thank you” message to those who signed in to your open house, which gives the experience a nice personal touch. 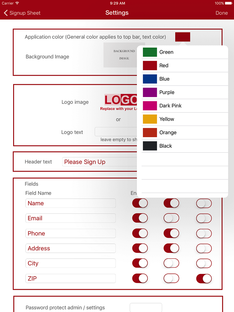 Export your client list to an excel list for further processing or backup. 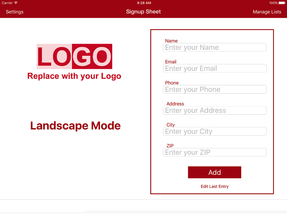 Watch the video below to see Sign Up Sheet in action and discover how it can help you enhance your realty business. 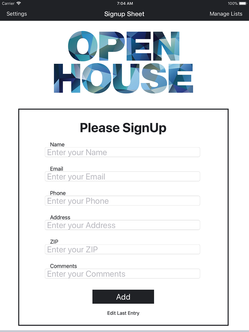 © 2019 Orionbelt.com LLC All rights reserved.